Photographing children is something that many photographers avoid. While it can be a challenge, here at Pacific Dream Photography, we have a blast! We are going to share a few pointers on how to take the stress out of photographing children. These simple tips will help you achieve natural effortless photos. 1. Be Prepared. Preparing for a session makes all the difference in the world. If an infant or toddler is joining the session, it's important to bring a few toys to keep them engaged. Bubbles are a great way to keep kids occupied during the shoot and will result in giggles and smiles all around. The right lens also plays a huge role when photographing kids. Having the right equipment and settings will result in better photos. 2. Have Patience. Photographing children requires patience and time. Some kids love having their pictures taken, while others may be camera-shy. Just roll with their behavior and don't force anything. Kids will have a great time if you simply hang out with them. Engaging with the child and building their trust will allow them to warm up to the camera! Ask questions, tell jokes, and find out what they are interested in. Be ready to snap pictures at any time. You never know when they might do something unexpected resulting in a fabulous photo! 3. Smiling Is Not What's Most Important. The goal is to allow kids to feel like they are right at home. When kids are comfortable they will share their personality with the camera. Kids possess an array of emotions, quirks, and funny faces. Sometimes asking kids to smile will result in the typical forced "picture day face." Here at Pacific Dream Photography, we like to capture authentic timeless moments. After all, real life moments are the most memorable ones. 4. Get On Equal Ground. This tip might require getting a little dirty (or sandy! ), but thats okay! Remember you are working with kids! Standing over them will make them look even smaller, so It's okay to get down on your knees or even on your stomach! Getting down on their level will make you instantly more approachable. Photographing the world from a child's perspective can create stunning images with different angles. 5. Give Them a Sneak Peak! Children love to interact and see whats going on behind the camera. Sharing the images that you are taking can be very beneficial. It allows the child to be a part of the shoot rather than just the subject. Building a bond with the child will help you achieve more ideal results. 6. Get Close. Don't be afraid to get close to your subject. It is important to fill the frame with the child. Capturing their facial expressions will result in extreme cuteness! Choose the right backgrounds, making sure there are no distractions around the subject. Ideally, the background should look blurry and soft. 7. Get The Parents Involved. It's all about the family! During a session, parents are the key to a great shoot. Include the parents in the pictures. This will allow the child to relax and feel comfortable. Not only does this create beautiful images of the child, it creates memories for the whole family. 8. Be Funny. It's okay to be silly during a session. Don't be afraid to make funny faces, dance, make silly noises, and have a great time. Don't worry about getting the perfect image, candid shots are a better option when photographing kids. Most importantly, have a great time! When the photographer is having fun, the child will have a wonderful time. 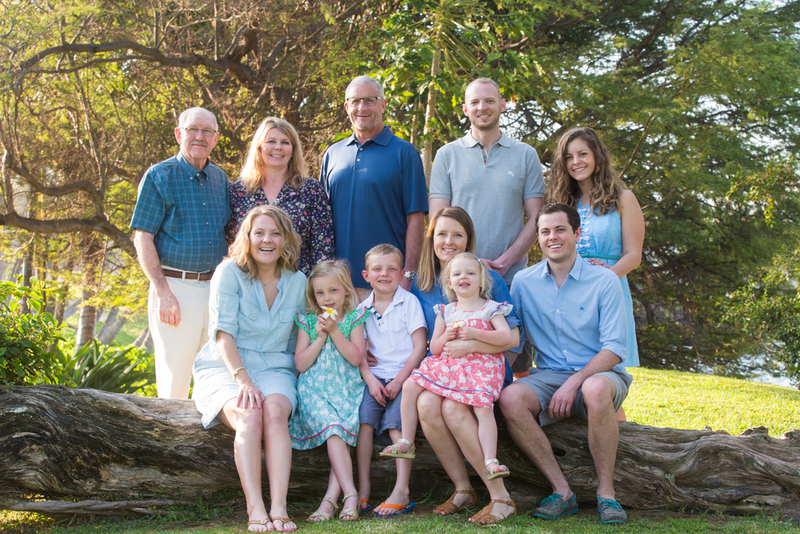 We had the pleasure of shooting a beautiful family photo session the other day at the Kahala Resort. With photographing kids, it gets a little difficult to capture that "perfect" picture family photo. However, we'd like to tell you why the perfect picture isn't always so "perfect." Since they had never had family photos taken, the family was fine with going with the flow and having us capture the kids in their natural element. Their Hawaiian family session turned out to be so much fun for all! The kids played and laughed while their personalities shone bright through our lens. We loved all the silly expressions that Roman made for the camera and although Riley was camera shy, she loved looking at the pictures after their session. Often times we welcome returning families back to the islands as a place for escape from the busy schedules of every day life. And if we've learned anything, these precious moments as kids fly by. As professional photographers in Hawaii, we take heart in knowing that these are the pictures that you will look back at to remember who your kids were at this beautiful time. Once in a while, we have only one person show up for the beach photo session at our Hawaii locations. Some people just can't miss the amenity of the photo shoot we offer for the guests of the luxury hotels we partner with. The photos you are seeing here were from a Andaz Maui at Wailea solo female traveler. Solo travels are becoming increasingly popular, and we are glad to be able to provide them with beautiful memories of their vacation. When her photographer in Maui met up with her, she had 2 changes of clothes and a bathing suit. For a short photo session with more people, it's not entirely necessary to bring wardrobe changes, but for single subjects, there's definitely time to play around with outfits and props. She shared with us that of all the places to go alone, Hawaii was the possibly the best destination as it's gorgeous, relaxing and most importantly, safe. She also wanted to get photos to show her fiancé (who had to pull the plug on the trip for work reasons) what he was missing. During her viewing, she shared that she wore all the dresses and bathing suit that he had bought her specifically for this trip. She explained how she was nervous at first being alone for a photo shoot, but that her photographer made her feel comfortable as the session went along. The lesson? If you go to Hawaii by yourself (or any other beautiful destination), book a vacation photographer and get professional pictures for your loved one who missed out on the fun. Also, who wouldn't need stunning new profile photos for social media? In the case of this guest, she was able to gift her significant other 40 beautiful photos of her enjoying the beautiful resort and beach in Wailea, Maui.